On 28 June 1798, Lord Horatio Nelson arrived at Alexandria in hot pursuit of Napoleon's troops for Egypt. On 1 August 1798, he cornered the French fleet at Abukir and blew them to bits in one of the most brilliant victories for the Allies in the long and seemingly hopeless war. Far away, in the Austrian town of Eisenstadt, Joseph Haydn, Princely Kapellmeister to His Serene Highness, Prince Nikolaus Esterházy, was in the middle of the new Mass. As Haydn was writing the last pages, news of the great victory at Abukir reached Naples. The fastest couriers rode breakneck northwards. On the very day of the first performance - 15 September - Count Zinzendorf, a Viennese aristocrat close to court circles, noted in his diary. "Thugut a fait assurer à Saurau que l'admiral Nelson a brulé la flotte de Buonap. dans le port d'Alexandre". Haydn could not have known of the battle as he was writing the Mass, but from the first performance, everyone referred to the Missa In Angustiis (Mass in time of fear, which Haydn gave to the work in his own catalogue) as the "Nelson Mass". The "Nelson Mass" is arguably Haydn's greatest single composition. The scoring is in itself most curious: three trumpet parts, timpani, solo organ, which Haydn himself played, strings, and the usual soli and tutti vocal parts. The key, D minor, is most unusual, too. But its outward layout scarcely prepares us for the ferocious power of the beginning, with its insistent trumpet and drum parts and the stately splendour with which this vast, almost mediaeval pageant unfolds. 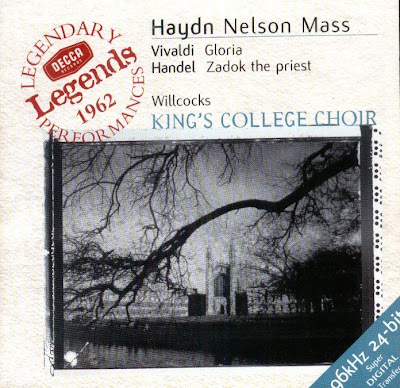 Haydn's Nelson Mass became very famous in the years following. In this recording Haydn's authentic text as established by the autograph and two sets of contemporary and authentic parts was used: the original performance material at Eisenstadt and an early set of parts by Haydn's copyist, Johann Elssler, in Klosterneuburg Monastery. Further early sets of parts in the Monastery of St Paul, in the Cathedral Church of Oradea Mare (Romania), and a score in the British Museum were also collated for this recording ! 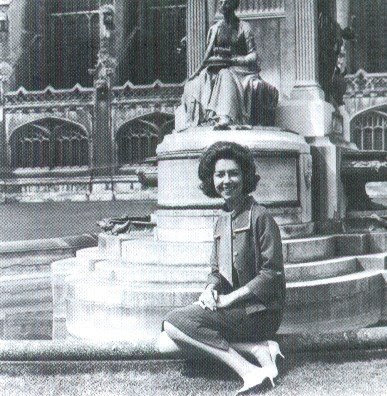 The performance (of the Nelson Mass) is very fine indeed ... Sylvia Stahlman's firm and fresh voice rings out clearly in the dramatic and florid passages allotted to her and is beautifully expressive in the few softer passages. The CD was released by DECCA, P 1962/1963/1966 C 2000 (ADD). DECCA 458 623-2 DM.